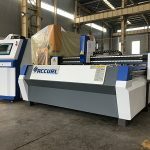 The accurl CNC tube phase line cutting machine is a kind of equipment for automatic calculation and cutting of the end of the pipe ends. 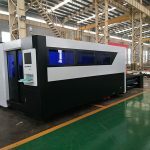 This machine is widely used in shipbuilding, construction, petrochemical, machinery, steel structure, lattice structure metallurgy and other industries of pipeline structural parts cutting processing. 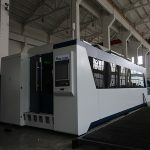 These industries have a large number of the curve line hole, the combined with the pipeline end, also commonly known as "shrimp festival" elbow, such processing USES template making, lineation, mostly artificial lofting, manual cutting, grinding and other backward and the method of heavy and complicated, and our factory manufacturing accurl CNC pipe cutting machine series, cutting the workpiece can be very convenient, and workers need hardly programming operation, simply enter reciprocal parameters such as the radius of the pipe, the intersection Angle, the machine can automatically cut out the curve of the pipe, phase injection hole, and welding mouth, no longer need to manual polishing. accurl CNC pipe triaxial nozzle-vessel junction line cutting machine CNC control interface with graphics and data combination, operation is very simple, just put the head and pipe radius, intersection Angle, cutting speed parameters such as buttons, press the "start" button, the input system can automatic ignition, preheating, cutting and automatic operation. 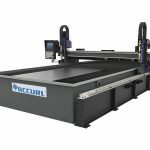 In the software, reasonable cutting is designed to introduce the lead wire to ensure that the quality of the cutting surface is guaranteed. 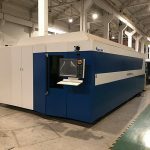 After each cut, the parameters can be saved as files for the use of the same workpiece in the future. 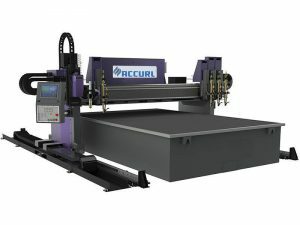 The cutting mode of accurl CNC tube triaxial line cutting machine is flame or plasma cutting, the maximum minimum cutting pipe diameter and pipe length can be designed and manufactured according to the user's requirements. 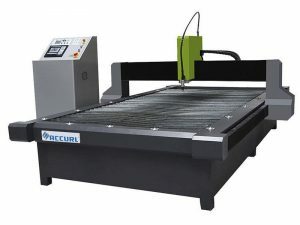 Equipment CNC control interface with graphics and data combination, operation is very simple, just put the head and the branch pipe radius, the parameters such as intersecting Angle, cutting speed button press the "start" button, the input system can automatic ignition, preheating, cutting and automatic operation. 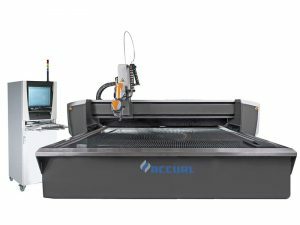 In the software, reasonable cutting is designed to introduce the lead wire to ensure that the quality of the cutting surface is guaranteed. 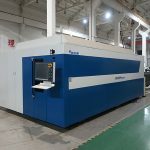 After each cut, the parameters can be saved as files for the use of the same workpiece in the future. The design is people-oriented, with simple operation of Chinese and English interface, advanced and reliable equipment structure, suitable for long-term continuous processing, batch processing, and stable and reliable operation control. 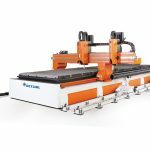 Interfingering lines nc pipe cutting machine is mainly composed of system control cabinet, driving device, high automatic tuning device, clamping device, safety device, guide rail, gas path system, plasma cutting system, etc. It can meet the national standard of the cut steel pipe, and it can reach the precision of the length dimension of the workpiece by 0.2mm/ 2000mm. The accuracy of the bus location is less than or equal to 0.5mm. The gap error of the fitting joints of all kinds of intersected lines is less than or equal to 0.5mm. 1. 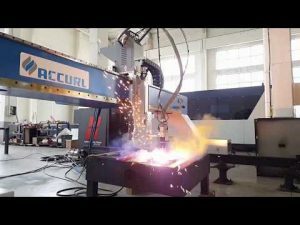 This cutting machine adopts plasma cutting (also can be configured flame cutting), which can cut carbon steel tube and cut stainless steel pipe. This cutter is easy to operate and can be automatically cut by entering the pipe diameter, the intersection of the supervisor and the branch, the Angle of intersection and cutting speed, etc. You don't have to do complicated calculations. And can cut on the head of multiple different direction, the curve of the diameter of the cylindrical hole and can in a curve cutting cylindrical tube department end, satisfaction of the branch pipe axis and axis eccentricity and tilt of eccentric vertical intersection, the intersection of conditions. It also has the function of cutting the two ends of the pipe with different diameters and different diameters of the cylinder. 2. 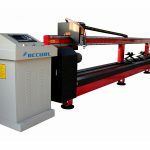 The cutting machine can be cut at the Angle and Angle of the tube according to the user's needs. Cutting in the circular tube welding elbow "shrimp festival" the ends of the inclined cutting surface, also can in the circular tube department cut oblique cut face, p 25 ° slope (with steel pipe axis Angle); Or directly cut off the pipe. 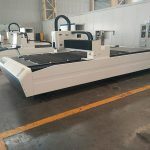 The intersecting line end of the intersecting line of the cutting function is also capable of cutting square holes and lumbar holes in the circular tube. The supplier shall be responsible for the installation and commissioning of equipment on the demand side. The buyer should cooperate with the supplier to provide the necessary support for installation of the equipment and put the electricity, gas, and piping in place in advance. The equipment installation and commissioning shall be provided by the supplier. If the supplier has actual difficulties, the buyer should provide the assistance within its ability. The buyer shall prepare the pipe materials and other supporting materials necessary for the commissioning of the equipment before the commissioning personnel of the supplier arrives at the site. 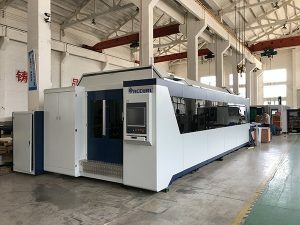 When the equipment is installed and debugging, the factory provides technical support for free, instructs the user to be familiar with and master the equipment performance. Free operation and maintenance personnel training to achieve the level of independent operation.